The late Thomas J. Pressly (PhD., Harvard, 1950) was a Professor of American History at the University of Washington, Seattle. A member of the faculty from 1949 until his retirement in 1986, and a specialist in Southern and Civil War history, Professor Pressly’s career spanned nearly four decades. During that period he taught nearly 20,000 students. His many publications included Americans Interpret Their Civil War (1954) and Voices from the House Divided: The United States Civil War as Personal Experience (1995). 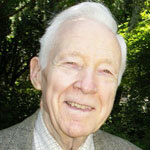 Professor Pressly passed away on April 3, 2012 in Seattle, Washington.